Plaza Family Care, P.C. 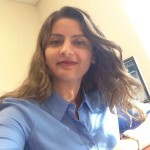 is happy to announce the addition of Dr. Unnati Tailor, D.O. to our Adult Medicine Department. Dr. Tailor earned her Doctor of Osteopathic Medicine from New York College of Osteopathic Medicine. She completed her Residency in Family Medicine from UMDNJ. Dr. Tailor will be joining us starting March 2, 2015.